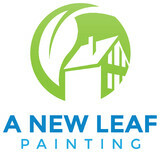 A New Leaf Painting, LLC, is a top-rated painting service that specializes in interior painting, exterior painting, wallpaper removal, popcorn removal, drywall repair, stucco repair, & wood repair and replacement, for homeowners, commercial & HOA associations. As a full-service painting company in Jacksonville, FL, our expert interior painting & exterior house painters are dedicated to providing you with prompt, professional, quality work in every aspect of your house painting project! We recognize that starting your home painting project can sometimes feel a little overwhelming. A New Leaf Painting works hard each and every day to be the best exterior painters & interior painters in the Jacksonville Florida area. So, If you're looking for top rated painters in Jacksonville FL who are responsive and caring, contact us. We serve the entire Greater Jacksonville, Florida areas. Including; Ponte Vedra Beach, St. Augustine, Orange Park, Fleming Island, St. Johns County, Julington Creek, Mandarin, Jacksonville Beach, Atlantic Beach, Neptune Beach, Nocatee, Clay County, Duval County, Amelia Island, and more! We are a Jacksonville based, family owned business. All of our tradesmen are covered by full Workman’s Compensation Insurance as well as two million dollars in General Liability. The owner, Wade Tiller is a master painter/remodeler with over 16 years experience. We have an extensive portfolio and over 850+ local references. I love what I do and I consider myself a craftsman. I am “known” for having a strict eye for detail. - Wade Tiller We still do a great deal of the prep work that seems to be disappearing these days. We try to only use the best products that we can for that particular job and budget. Our prices are always fair and competitive and offer estimates at no charge. We have a decorator on staff with over twelve year’s experience. She makes the experience an enjoyable one, helping you narrow ideas down into your vision. Instead of pushing her pre-bought ideas right into your project – she usually ends up paying for herself, saving you money and stress in accomplishing your goals. 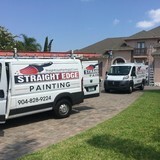 Straight Edge Painting Offers Top Quality Craftsmanship And The Best Customer Service In The Business- Guaranteed! We are a Top-Rated Professional Company that Offers Interior Painting, Exterior Painting, Cabinet Painting. We have over 327 Authentic Online Reviews on Angie's List, Houzz, Google, Yelp, and the Better Business Bureau. We are very proud to have achieved 5-Star rankings on multiple sites, and we believe that these rankings highlight the superior service and results that we provide to our customers. We would love an opportunity to earn your business- thanks for stopping by! Pro Color Painting company is the top rated, full service Jacksonville painting company. Painting contractors serving Jacksonville, FL and the surrounding areas. Painting & waterproofing in Florida for 28 years; we understand the battles of keeping your home or business beautiful and protected from the Florida elements. Our painting company can improve & raise the value of your home in many ways; call THE Jacksonville Painting Company today! Pro Color Painting company feels your home is special; for many; it can be the biggest investment. At Pro Color Painting, we are a Jacksonville painting company who takes professional care of your home, business or rental property. We apply our vast experience & knowledge in all aspects of improvements! Ocean Wave Painting specializes in residential interior and exterior painting, with over 20 years of experience in the field. We preform our work fast and we are extremely clean and courteous. Always free estimates with no hidden fees or pressure to commit. We appreciate any opportunity to meet and greet. We will assist you in picking out colors, sheen and primers. All exterior projects will be power washed. Please feel free to call or text with any questions, I will be happy to help. Each and every day we work hard to provide timely professional and dependable interior and exterior house painting services to our customers. Elegance Home Painting offers you a full line of house painting services which include quality, value and expertise. We use only the finest paints and materials and can offer you the best all around service. 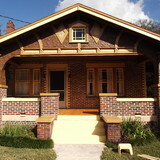 Elegance Home Painting was rated "Number One Painters in Jacksonville, Florida" for 2009–2010. Elegance Home Painting is an experienced painting company servicing all of the Greater Jacksonville Florida area, Orange Park, Jacksonville Beach, Ponte Vedra and surrounding cities since 1997. Family owned and operated. A FIVE Star rating with the Better Business Bureau and Consumer Affairs. Looking for a Quality Painting Contractor? Contact Hall's Quality Painting for all of your painting needs. We are local owned and Family operated small business, we always have our clients satisfaction as our first priority. Personal approach, professional results. Interior/Exterior painter. Known in the St. Augustine area for affordable work with exceptional quality. Customer reviews include "neat, honest, exceptional quality, very affordable." Over 20 years experience. Looking for Painters in Jacksonville FL? Performance Painting Contractors specializes in Interior and Exterior House Painting, Wallpaper Installation and Removal, Drywall Repair, and Commercial & HOA Painting. Our professionally trained, certified and qualified teams are ready to take on your project. From Jacksonville, FL to Tampa, FL and even the southeast United States, Performance Painting brings a level of professionalism and pride to the painting industry you can trust. We are a different kind of painting contractor and work every day to ensure our quality, customer service and commitment to your project is met in a timely and professional manner. We are a Family owned company serving North East Florida area .Our goal is to provide the ultimate combination of amazing quality, impeccable service, and sustainable practices in the following areas. Pro-Painting and Drywall is locally owned and family based business located in Jacksonville Florida. We have earned our reputation in the drywall and coatings industry by offering unsurpassed customer service and professionalism and unrivaled quality craftsmanship. We train our employees exceptionally well and we manage each project through every phase to ensure the best final product that can be offered. Call us when you need a reliable Painter in Jacksonville, Fl. Our Interior Painting Service offers Interior Painting, Cabinet Painting, Kitchen Cabinet Refinishing, Drywall Repairs and Wallpaper removal! We are " A " RATED on Angie's List! Our Job is "Making homes look beautiful"!